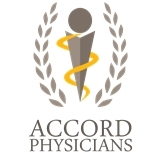 Accord Physicians (Richmond Hill) - Book Appointment Online! The Accord Physicians is a team of highly professional medical specialists, who joined their forces to bring health, confidence and happiness to men, women and children suffering from different ailments. Our physicians provide first class medical services in offices conveniently located in Brooklyn and Queens. State-of-the-art therapeutic and diagnostic technologies allow our providers to treat patients with astonishing efficiency. Our physicians take pride in masterly performed minimal and laparoscopic surgery, as well as in the latest extracorporeal painless modalities.